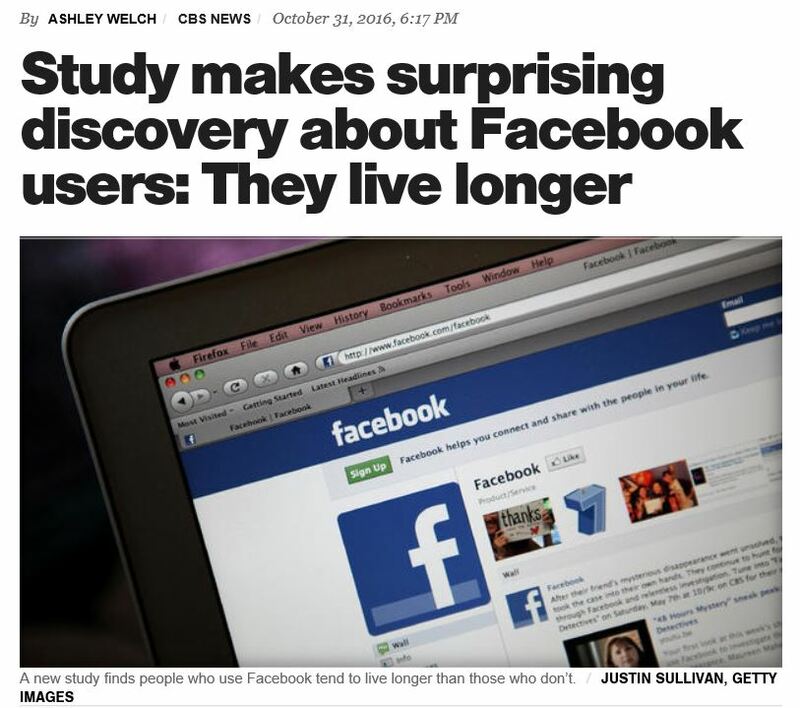 In a recent study it turns out that Facebook users live longer than those who don’t. If that sounds strange, there may be a good reason. It is all about having friends. While it is true that having a Facebook friend that you interact with via the internet is not exactly the same as having as having an actual in-the-flesh person that you talk to or go to lunch with, nonetheless, psychologically, it may provide some of the same emotional components. If you recall, a little while back we talked about the medical and emotional benefits of friendship, i.e. how having good friends was good for you physically as well as emotionally. Researchers believe that Facebook and other social media have become new platforms on which friendships and important social interaction can be built. The factor which Facebook provides is a sense of acceptance and being “liked “. While the feedback is different via the internet than it is in everyday life, the feedback is direct and immediate. Instead of seeing a smile or receiving a pat on the back, FB records and counts “likes” and comments. Being affirmed and affirming others is an important part of being in a friendship and is a critical factor which is missing from folks who are isolated and do not have friends. Indeed isolation is a factor in emotional disorders which also correlate to physiological problems. Although it is different and more limited, technology has provided a new medium through which friendship can be experienced. Obviously, cyber relationships are not equivalent to nor do they provide all of the aspects of in person one, however they do offer another avenue through which social connection can be found and felt. It is fair to say that while Facebook and social media can pose problems for users, they also offer opportunities for lonely people to reach out and connect. With common and reasonable caution, Facebook can be resource for expanding one’s sense of belonging and finding approval.